The Best Action Figure blogs from thousands of top Action Figure blogs in our index using search and social metrics. Data will be refreshed once a week. Also check out Action Figure Podcasts and Action Figure Youtube Channels. 2.5 Reddit - Action Figures, Toys and anything related! 2.23 Yakface.com | Serving Star Wars Collectors Worldwide. 2.31 Action Figure Toronto: Action Figure Customs, Tutorials and More! Action Figure newsletter is a comprehensive summary of the day's most important blog posts and news articles from the best Action Figure websites on the web, and delivered to your email inbox each morning. To subscribe, simply provide us with your email address. Phoenix, AZ About Blog Action figure reviews, news, pictures, videos and more. AwesomeToyBlog is the work of Matt Guzy, a longtime participant in the online toy community. Facebook fans 668. Twitter followers 682. Boston, MA About Blog It provides News and Reviews of Marvel Comics Toys, Action Figures, Statues, and other Collectibles. Facebook fans 14,881. Twitter followers 1,735. About Blog The Fwoosh is one of the most popular website communities for action figure collectors and customizers. Follow this blog to keep up with the latest action figure news, toy reviews, discussion, and more! Facebook fans 10,753. Twitter followers 3,938. Mountain View, CA About Blog Comprehensive up-to-date coverage for action figure, aggregated from news sources all over the world by Google News. Facebook fans n/a. Twitter followers 212,855. 5. Reddit - Action Figures, Toys and anything related! San Francisco, CA About Blog It features toys, action figures, collections, collectors, news articles, pictures, and discussions of action figures. Facebook fans 1,085,460. Twitter followers 469,313. L.A. California About Blog Scouring the Net for the best in action figure and collectible toy news, reviews, photos and videos! Facebook fans n/a. Twitter followers 3,559. About Blog Toy Reviews, Action figures, News & Events. Facebook fans 728. Twitter followers 11. About Blog Action Figure Fury is a blog about action figures containing reviews, news, tips, and articles. Action Figure Fury is a review and news site and we try to achieve relevant and informative reviews of the latest and coolest action figures available today, in the past, and also coming out in the future. Facebook fans 2,732. Twitter followers 12,816. SW Florida About Blog Action Figure Reviews, Toys & Collectibles. Facebook fans 1,832. Twitter followers 997. About Blog Star Wars Toys News, Reviews, Photos and More! Facebook fans 1,121. Twitter followers n/a. About Blog This blog has action figures reviews from Hot Toys, Medicom, Sideshow Collectibles, Dam Toys, Art Figures etc. About Blog This blog provides Action figure review and videos. Long Island, NY About Blog WWE Toys, Mattel WWE Figures, Mattel Wrestling Action Figures, Jakks Pacific TNA. Facebook fans 68,662. Twitter followers 52,835. About Blog Jedi Temple Archives is a Star Wars collecting database featuring current Star Wars news on action figures, books, statues, mini busts, games, miniatures, trading cards, posters and other collectibles. Reviews and up-to-date information on Star Wars collectibles from Hasbro, Sideshow Collectibles, Gentle Giant, LEGO, Master Replicas, Topps, Code 3, Kotobukiya, Attakus and more. Facebook fans 14,985. Twitter followers 8,416. About Blog A review and preview of current and upcoming Action Figures, comic books and video games and celebrating the Diversity therein. Facebook fans 150. Twitter followers 48. San Francisco, CA About Blog Star wars collecting is home to Star Wars collecting news, toys, merchandise, discussion, pictures, and more. Facebook fans 1,085,462. Twitter followers 469,314. San Francisco, CA About Blog It features action figures, wrestling collections, news articles, pictures, and discussions of Wrestling action figures. Facebook fans 1,085,461. Twitter followers 469,313. About Blog HissTank is a community for G.I. Joe fans to talk about the toys, comics, tv shows and movies. Facebook fans 10,539. Twitter followers n/a. New Jersey About Blog National Entertainment Collectibles Association (NECA) makes cool action figures & collectibles from movies, video games, pop culture and provides exclusive first looks. Facebook fans 116,051. Twitter followers 45,495. New York, NY About Blog The Toy Insider provides the best reviews for the top action figures for girls and boys from infants to teens. They also assist parents, grandparents, and other gift-givers to select the perfect toys for the kids. Facebook fans 19,680. Twitter followers 27,543. About Blog Ultimate Marvel News Source for Avengers, Ironman, Spider-man, X-Men and the Entire Marvel Universe Comics, Games, Movies, Reviews and Toys Every Day. Marvel super hero action figure toys and collectibles news, reviews, variants, comic-con, preview, hasbro, mattel. Facebook fans 39,385. Twitter followers 2,664. About Blog Figures.com features action figure and collectibles network, providing news, reviews, information and photography on action figures, toys, and other pop culture collectibles. Facebook fans 6,263. Twitter followers 36. 23. Yakface.com | Serving Star Wars Collectors Worldwide. Minnesota About Blog Yakface.com covers all the latest Star Wars news from Hasbro, Gentle Giant, LEGO, Sideshow, Attakus and much more. Includes product reviews and descriptions, as well as a detailed toyguide of Star Wars-related products from vintage to the modern era. Facebook fans 10,432. Twitter followers 10,079. Montgomeryville, PA About Blog Action Figure Junkies (AFJ) is the premiere action figure site on the web. It provides industry news, reviews, columns, “hunts”, and more. Facebook fans 67,042. Twitter followers 401. Facebook fans 1,018. Twitter followers 180. About Blog Toy reviews, Toy fairs, Action figures and more. Facebook fans 6,493. Twitter followers 5,230. About Blog OFFICIAL BLOG of the Star Wars Collectors Archive was created with the goal of using the web to bridge the geographical gaps that exist between collectors. Its intent is to educate while showcasing some of the finest Star Wars collections in the world. Facebook fans 9,737. Twitter followers n/a. US About Blog You've come to the right place for expert action figure news and reviews! - Updated daily, including the latest action figures and related toys. Facebook fans 606. Twitter followers 2,156. About Blog Action figure reviews, toy reviews, stuff about Halloween, and Batgirl fandom all mixed together. 31. Action Figure Toronto: Action Figure Customs, Tutorials and More! Facebook fans 1,122. Twitter followers 24. Chicago About Blog AC Custom Figures where you can find custom action figures of Marvel, DC, and more! Tutorials and reviews! Keeping the Multiverse articulate since 2011! About Blog Action Figure Reviews By Ethan Wilson. About Blog Profiles and photos of G.I. Joe figures from around the world! Australia About Blog Action Figure Blues is all about the toy collector's journey - whatever you collect, we want to hear about it, see your collection and share trade and sale opportunities via our forum. Make sure you listen to our weekly podcast for all the fun! Facebook fans 27,597. Twitter followers 2,970. Philadelphia, PA About Blog A blog about toys and anything related to them. Including cartoons, comics, other merchandise, and stop motion animation using action figures. Facebook fans 208. Twitter followers 185. About Blog I’m Ram but I go by the name of Locust — A Toy Collector, Action Figure Photography enthusiast and an occasional Toy Reviewer. My figure collection focuses more on Japanese imports such as S.I.C. ( Super Imaginative Chogokin ) line, Makai Kado, also I collect action figures based on a Comic Book (DC/ Marvel/ Image and the likes) and pretty much anything that’s totally to my liking. Facebook fans 755. Twitter followers 182. About Blog This Blog features LEGO Toys, DC comic action figures, miniature toys and more. About Blog A retrospection on Vintage Star Wars with modern action figures and other Star Wars toys. Facebook fans 7,061. Twitter followers 1,965. About Blog Retro toy info is a history of vintage and retro toys, focusing on toys from the 1970s and 1980s especially Star Wars toys produced by Kenner. About Blog This Blog has a wide range of Japanese collectibles toys such as Transformers, Gundams, Macross, Soul Of Chogokin, Hot Toys, Medicom, Figma, Revoltech, Blythe and etc. About Blog Welcome everyone to Action Figure Imagery Toy Reviews. Enjoy anything or everything action figure related here!!! From toy reviews to articles. About Blog This blog features LEGO toys, action figures and more. About Blog This blog provides reviews and videos on latest Doctor Who Action figures. About Blog Loosecollector is a blog by Dave Cadenas. He is the best marvel legends action figure customizer in the world! About Blog Welcome to my custom figure gallery! These works have been created to promote the love and respect for action figures, the characters they represent, and the dedicated fans worldwide who collect figures of all genres! Facebook fans 2,322. Twitter followers n/a. About Blog Thousands of articles about action figures, give or take. Presented by Galactic Hunter. San Francisco Ca About Blog This blog by Scott Pettersen provides information about Action figures, Sculpture, Painting, 1/6 Figure Art. Facebook fans 1,609. Twitter followers 73. About Blog PLASTIC MEMORY - Comic book writer and author Scott Beatty blogs about action figures, cool toys, and superhero collectibles. About Blog This blog provides Hot Toys 1/6 Scale Figures, Maxfactory, Figma, SH Figuarts, Goodsmile Company.The place to discuss about toys and highly articulated action figures. Phoenix, AZ About Blog Welcome to the home of the Pulp 2 Pixel Podcasts. A project formed from the primal imagination of Doctor G to chronicle a geek love of superheroes and other genre fiction from comics to digital. Here you will find episodes of the podcast and articles provided by myself and contributors. Facebook fans 333. Twitter followers 749. 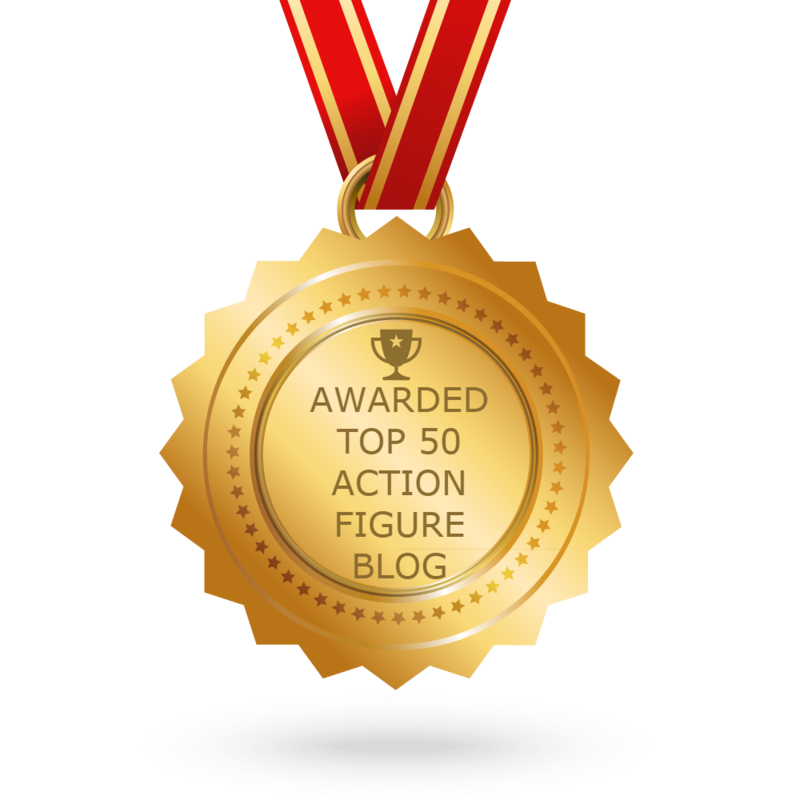 CONGRATULATIONS to every blogger that has made this Top Action Figure blogs list! This is the most comprehensive list of best Action Figure blogs on the internet and I’m honoured to have you as part of this! I personally give you a high-five and want to thank you for your contribution to this world.